Early plans for the DeLorean considered the use of a Wankel rotary engine that used a rotating triangular element (working a bit like a water pump) in place of the more common reciprocating piston design (kind of like a syringe) that would eventually be used. In defiance of all sanity, the first prototype DeLorean was fitted with a four cylinder Citroen engine—definitely nothing “spaceship” about that. 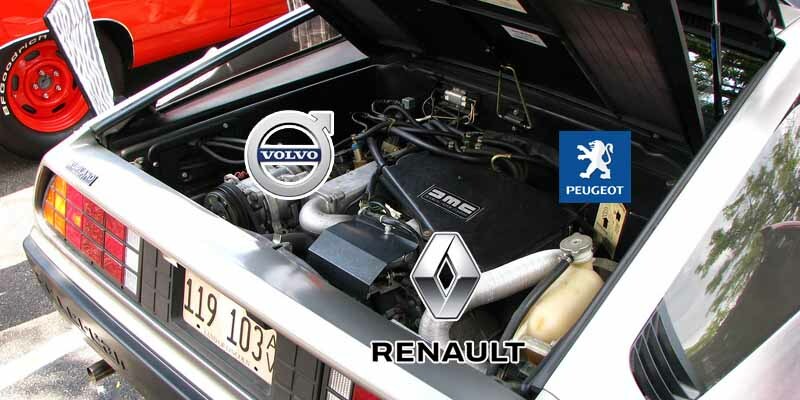 Fortunately, like the Wankel, it was also dropped and replaced in the second prototype with a definitely more appropriate 2.7 liter Renault V6 that was built in collaboration by Peugeot, Renault, and Volvo. Production cars were eventually sold with a slightly larger 2.85 liter version.